Since 2006 the Lusail Real Estate Development Company has started to develop a 38 square kilometer site that is 15 kilometers north of Doha, the capital of Qatar. This new project is one of the largest commercial projects in the Gulf States. The theme of Lusail, Qatar´s future city, has everything to do with water. 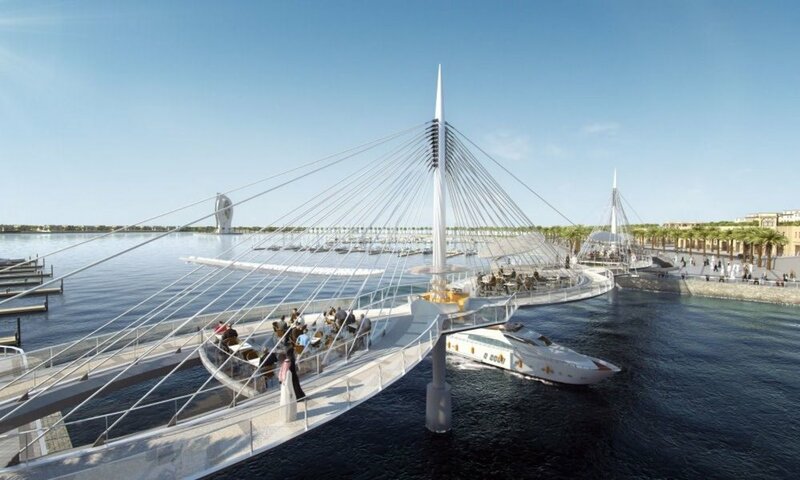 The concept for the two pedestrian bridges is that of a necklace being draped along the ring of the island marina. Damptech provided rotational friction dampers to the supporting cables. Because of the marine environment, all structural elements are executed in duplex stainless steel.